Prior to Willowwind Michelle working with teenage moms & their infant children at the Family Learning Child Center at Wellstone International High School in Minneapolis and was a K-5 Reading and Math Specialist. Before becoming Head of School in 2018, Michelle was Willowwind’s Kindergarten teacher and Curriculum Coordinator. Michelle and her husband, Brian, have been married since 2007. They have two sons, William and Sullivan. As a family, they are avid football and baseball fans cheering for the Hawkeyes, the Packers, and the Twins. They love to road trip and spend time with extended family. Michelle hopes students develop a lifelong love for learning and an understanding that the world is full of rich learning opportunities. In addition, she hopes Willowwind students learn to be kind, compassionate, and supportive of others as they have the power within them to do amazing things in the world. Laurel Hibbard joined Willowwind as our Development Director in 2016. She comes to us after nearly 17 years of fundraising experience at the University of Iowa Foundation; the majority of that time spent with development for UI Children's Hospital. Iowa girl born and raised, Laurel grew up in Marshalltown and attended Wartburg College in Waverly, where she received her B.A. in Communication Arts with emphases in Public Relations and Journalism. Laurel and her husband have been in the Iowa City area for 18 years, where they live with their two school-aged daughters and dog. Laurel is passionate about helping children and is very excited to be a part of the Willowwind community and the continued growth of the school. Anne is our finance guru. After her time at Stanford and Northwestern, and having worked for a small, local biotech firm, Anne set her sights on Willowwind. Outside of work she loves to spend time with her family, enjoys checking out local events, and traveling. If people watching were an Olympic sport, Anne would probably have a good chance of winning a metal; she hones her skills on weekend mornings at Deluxe, her favorite neighborhood bakery. Rachel works at the front desk at Willowwind and also coordinates the admissions process. She can be found patching up scraped knees, coordinating upcoming events, and touring prospective families- all in one day! Before working at Willowwind, Rachel was a classroom teacher at the high school and college levels, where she taught English language classes for international students, immigrants, and refugees. Rachel finds working with young children to be "new and entirely delightful! Only at Willowwind have I had a student greet me by saying 'You look like a beautiful butterfly!'" Dana joined Willowwind in 2015 after spending several years at ACT, Inc. Prior to ACT, Inc she worked at nearby Scattergood Friends School in the Admissions Office. Dana grew up in Iowa City and still enjoys all the recreation, culture and activities that it has to offer. Outside of Willowwind Dana loves to dabble in different art mediums, painting and ceramics are her favorite. She also enjoys spending warm weather days outside in her families vegetable and flower gardens; there is something meditative about weeding and watching things grow. Shayne Lanning has been teaching at Willowwind since 2008. Her teaching career began after graduation from Manchester College in 2001. She has taught at Sylvan Learning Center and in several public schools in both Washington and Iowa. Before moving to Iowa, she taught at Discovery Montessori in Port Orchard, Washington for three years. Her first six years at Willowwind she taught in the full time Ottoe Skipper Montessori Preschool classroom. In 2014 she took over the Marblewing part-time Montessori Preschool classroom. In previous summers she has taught in the summer preschool program. She has also created and taught the Kindergarten Readiness class offered to preschoolers who will be moving on to kindergarten the following year. She has a strong passion for teaching and a love of learning, which she transmits to her students. Currently she is working on obtaining her masters in special education. Alec hails from the Quad Cities but quickly settled into Iowa City while earning his Bachelors degree in Elementary Education at the University of Iowa. Before joining the Willowwind preschool team, Alec was a substitute teacher, and was headily involved in the After School Program at a local elementary school. A sports fan, Alec enjoys spending time with his family, cheering on the Hawkeyes, and going to Mickey’s Irish Pub for their awesome grilled cheese. He also loves playing basketball and golf, and thinks that if Wii Sport had a place in the Olympics he would have a good chance of winning a metal. Alec brings humor, patience and so much fun to the preschool program and hopes that the students will come away having grown; physically, emotionally, and socially. Kaye moved to Iowa City in 2008, attending school at Kirkwood Community College and the University of Iowa where she graduated with a Bachelor's in Cultural Anthropology and a Certificate in Human Rights. Her work with community and caring for others started at a young age with childcare and her first job at a nursing home in her home town of Rock Island, IL. Since then she has acquired an eclectic work history developing skills in restaurants, as a private chef, on organic farms and being a full-time private nanny. Her passions are gardening, cooking, spending time with family; her husband Nicholas, her dog Grover, and cat Levon. She also enjoys being active outside with camping, hiking, and kayaking. When she is not teaching preschoolers you may find Ally kayaking, hiking, or otherwise exploring the great outdoors with her daughter, Carter, and faithful pooch, Mickey. Some of her favorite local spots to explore are Turkey Point and Lake Macbride. Ally also loves to get lost in books; of all the wondrous destinations she has read, about Ally would most like to visit Hogwarts. Dance and movement is also a passion of Ally’s, in fact, if she didn’t have to sleep she would probably spend that extra time dancing. Ally has served as Creative Director and Program Director at multiple schools and studios and loves to share that experience and passion with her students. Erin grew up in the Quad Cities (Bettendorf), and has lived in Iowa City for the past 3 years. After graduating from the University of Iowa in 2013, Erin spent 4 years teaching preschool in Bettendorf and Iowa City. During the 2016-17 school year Erin worked as a substitute for the Iowa City Community School District as well as for Willowwind. From the very first day Erin stepped into Willowwind as a sub, she knew it would be a dream to work at the school as a full-time teacher, and she is so excited to have the incredible opportunity to step into that role this year! In her free time, Erin enjoys cozying up with her two cats, Princess Peach and Little Po, and reading anything she can get my hands on. Before coming to Willowwind, Lisa was a student teacher in New Zealand. She spent time traveling after graduating from the University of Iowa and taught third grade at a nearby school. Lisa still enjoys traveling, cooking and trying new restaurants, and spending time with friends and family. She is also very active and loves playing tennis, rock climbing, and doing yoga. Lisa hopes that she can instill in her students the confidence to take risks, as well as provide them with a comfortable space to make mistakes. Christine has been a member of the Willowwind community since 2011. She received her bachelor’s in elementary education from the University of Iowa, with a focus in reading and writing and a minor in Spanish. 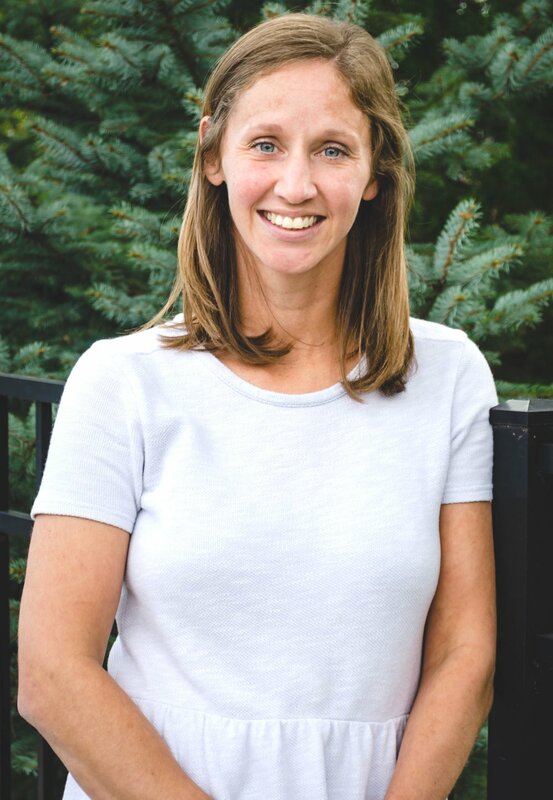 She has a wealth of experience with outdoor education and has guided kids in outdoor inquiries and adventures for the past 7 years with the University of Iowa Wildlife Camps. Her passion for the environment helped her facilitate a student-lead prairie planting at Willowwind in 2011. Christine taught fourth grade at DelCampo International School in Tegucigalpa, Honduras in addition to teaching for the Iowa City Community School District. Christine’s passions outside of school include camping, cycling, and playing outside with her family. In 2016, Christine was honored with the Robert E. Yager Active Learning Award. Ann is from Muscatine, Iowa and received her Bachelor’s Degree in Psychology from Truman State University in 2007. After graduating Ann worked in retail management before moving to Istanbul, Turkey where she lived for nearly six years. While in Turkey she taught first and second grade English at a private school. The experience inspired her to seek her teaching licensure through coursework at the University of Iowa. Ann loves children’s literature and the unique conversations that evolve in a classroom as students explore text. Outside of the classroom she enjoys cooking, traveling, and building Legos with her son, Will. Rachel DeMaris began her work in challenging creative, inventive children to grow their brains as a middle school and high school science teacher. After leaving the classroom, she spent many years exploring and learning with children and their families in both science and technology centers and children’s museums. In her 15 years in informal education, Rachel served as an educator at the Science Center of Iowa and the Science Station, the Program Director at the Family Museum, and the Manager of Play and Learning at the Iowa Children’s Museum, where she was active in promoting S.T.E.M. learning experiences. During her museum tenure, Rachel taught countless professional development workshops to early childhood teachers and presented at the Association of Science and Technology Centers and the Association of Children’s Museums conferences to promote best practices in science education for young learners. The classroom beckoned, however, and Rachel jumped at the opportunity to join the Willowwind faculty in 2012. In 2013, Rachel was honored with the Robert E. Yager Active Learning Award. Rachel lives in Iowa City with her husband, Micah. Her daughter, Cordelia, is a Willowwind student and her son, Oliver, is a high school student. When she isn’t teaching, Rachel can usually be found with her nose in a book. Jessica has been teaching summer camp and subbing at Willowwind for several years and is thrilled to join the team as Programs Coordinator. After graduating from the University of Iowa in 2013, she found herself teaching theater and music to children and knew she found her people. She gained experience working at the Iowa Children's Museum serving as an educator, revamping the birthday party program and getting to hang out with a lot of great kids. Outside of Willowwind, Jessica participates in community theater, both directing and playing trumpet. She has a cat named Chester who doesn't mind her growing collection of musical instruments. Ryan Bentzinger is an artist based out of Iowa City. He graduated with a BA in Studio Art with Honors in Education from the University of Iowa in 2011. Ryan was the assistant to Chunghi Choo from 2009-2015. He is licensed under the State of Iowa to teach K-12 Art, and has been the Teaching Artist at Willowwind since 2012. Ryan has exhibited his artwork internationally. His artwork has been acquired for the permanent collections of the Santiago Museum of Contemporary Art in Chile; the Cedar Rapids Museum of Art, and University Museums of the Iowa State University in Iowa; and Arnoldsche Art Publishers in Germany. Ryan's artwork is inspired by imagination, travel, and societal phenomena. He self-published a graphic novel, nAMUH: Book 1, and it is a part of the University of Iowa Museum of Art collection. The book can be purchased at the Cedar Rapids Museum of Art gift shop, Prairie Lights Bookstore, and online. When Ryan is not passionately teaching and advocating the Arts, he continues to paint, draw, and write in his studio. Susan joined the Willowwind family this year with much enthusiasm. For the past five years, she taught a variety of positions, such as a Physical Education, Health, and Driver’s Education teacher. While teaching, Susan has continued her education. For the past two years, she has coached a Boy’s High School JV swim team. New to the Iowa City community, Susan is eager to explore the area with her husband and three sons. As a Physical Education teacher, she strives to create an active learning environment where students feel safe and comfortable participating in physical activity. Her goal is to create an environment where students can enjoy movement, improve skills and fitness levels, and learn the importance of maintaining an active lifestyle to lead a happy, healthful future. She loves playing sports and traveling. Her most recent challenge was hiking down to the bottom of the Grand Canyon with her husband and seventy-eight year old father-in-law, spending the night at Phantom Ranch, and hiking back up the next morning. What a challenge! Prior to Willowwind Ashley taught K-8 Spanish in Chicago Public Schools for 3 years before joining the Peace Corps where she taught English teachers in Nicaragua for nearly 2 years. Ashley enjoys getting to know Iowa City with her roommate, John, who was also in the Peace Corps. After her time in Central America climate, she is trying to stay busy and warm this winter. Ashley is inspired by her students and is profoundly affected by the resiliency and kindness of learners, young and not so young. She believes learning a foreign language fosters both compassion for others and a spirit for adventure, and hopes her students will develop a love of language and curiosity for cultures unlike their own.